The Brent Outdoor Table Lamp features a lampshade of unique form. On the inside lies the light source covered by a white shade. The white shade is encased by a dual woven outer shade made of synthetic wicker. The unique shade hangs from an industrial, minimalistic base. The resulting style may be applied to different aesthetics, like dark minimalistic settings, wicker dining or seating settings, or modern sitting areas, for example. Indoor lighting solutions cannot be placed outdoors, and are even inappropriate for screened porches. The difference between outdoor and indoor lighting solutions lies in the construction details. Some outdoor lighting is safer than others, and Kenroy Home lights are better equipped to handle the elements than most. 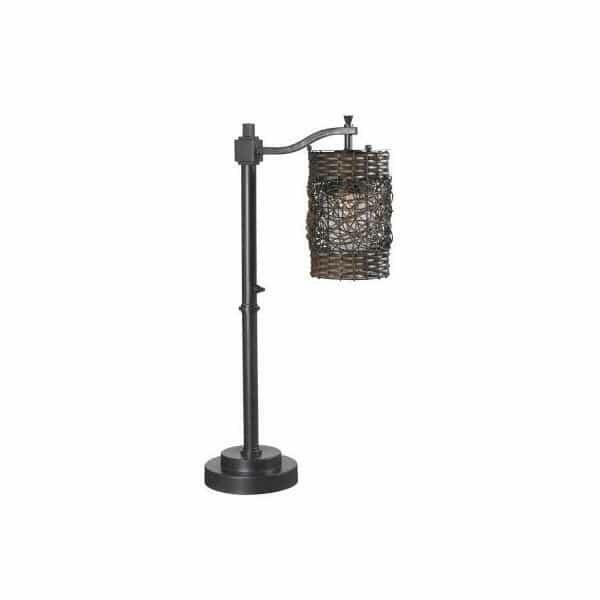 The Brent Table Lamp is UL tested for wet location placement, features all rustproof materials, has a watertight bulb shield, is UL approved for waterproof on/off switch, and features a heavy base that prevents it from swaying in the wind. Enjoy the famously unique and safely constructed brain child of Kenroy Home.